Social bookmarking is a method for Internet users to share, organize, search, and manage bookmarks of web resources. Unlike file sharing, the resources themselves aren’t shared, merely bookmarks that reference them. In a social bookmarking system, users save links to web pages that they want to remember and/or share. These bookmarks are usually public, and can be saved privately, shared only with specified people or groups, shared only inside certain networks, or another combination of public and private domains. The allowed people can usually view these bookmarks chronologically, by category or tags, or via a search engine. WordPress has few best Social Bookmarking plugins which I want to mention here. Here are my top favorite plugins. The world’s best sharing button. Help readers share, save, bookmark, and email your posts and pages using any service, such as Facebook, Twitter, Google Plus, and over 100 more social bookmarking and sharing sites. The button comes with AddToAny’s customizable Smart Menu, which places the services visitors use at the top of the menu, based on each visitor’s browsing and usage history. 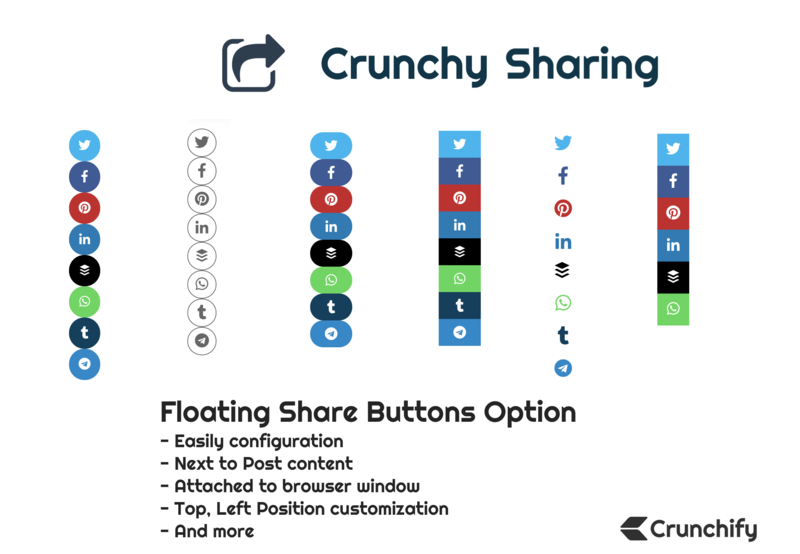 Make it 1-click easy for your visitors to share your content with their friends. Thanks for sharing this helpful information with us. I personally use Digg Digg for my site’s blog. but there seems to be problems lately and it’s kinda ruining my blog. I think Buffer created another form of Digg Digg.